Did you know that email is still the #1 attack vector used by the bad guys? KnowBe4 is the world’s largest integrated platform for new-school security awareness training and simulated phishing. 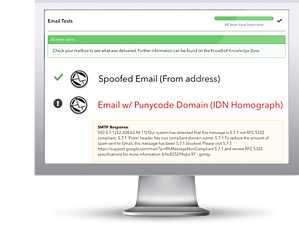 KnowBe4 was created to help organizations manage the ongoing problem of social engineering.